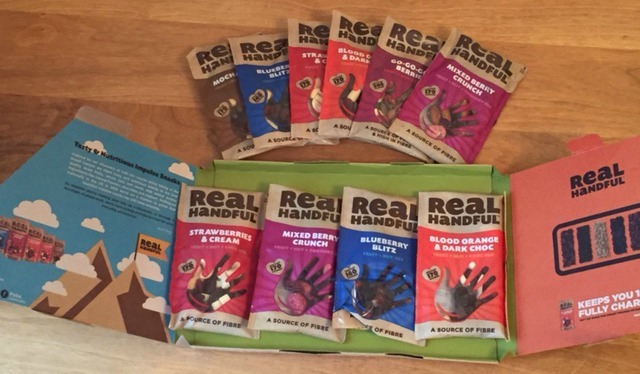 Whilst attending Blog On Manchester earlier this month where i discovered a amazing new snack range from Real Handful. Chewy Fruit + Crunchy Nuts + Yummy Stuff = A tastier way to fuel your day! Inspired by their discovery of trail mix snacks whilst hiking in the Grand Canyon the founders of Real Handful Carly & Joe make tasty and nutritious blends of the best quality dried fruits, whole nuts and seeds with added yummy ingredients such as natural flavours, chocolate and yogurt. Rolling our nationally in the UK in 2016 they are on a mission to prove that healthier impulse snacks can still taste amazing. For the Tennis Fanatics: Strawberries & Cream the perfect match break snack! 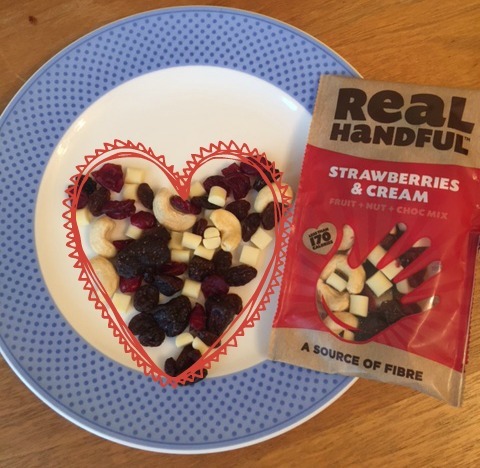 I am a terrible snacker and i am always on the look out for healthier snacks then my usual biscuits and chocolate and i also love to find something which i can just pop in my bag for a quick to go snack on the way to school run, on days out or before my Zumba class and i think the Real Handful Snacks are just that! A large variety for everybody’s taste in a nice pocket size (40g) and every pack is between 170-200 Calories which is labelled on a nice heart on the front. You can buy the snacks in your local Ocado, Holland & Barrett as well as any Harris & Hole Cafe’s. The competition is open to UK Residents only and will close at 11.59pm on the 26th of May 2016. Disclaimer: I have been sent some Real Handful Snacks including a ration box for reviewing purposes, but all thoughts and opinions are mine.